Cycling as serious transport in a country without a commitment to it requires a lot of guts and a lot of great gear. Over the years, I've gone through a lot of money and strife finding that gear. Below is one of a series of posts (see security, rain/wind protection) sharing my experience with what works. This entry is about visibility: seeing and being seen. Riding in a car through the streets of Berkeley recently, I was reminded how difficult it is to see cyclists: day or night. I was also shocked how many cyclists I saw in one hour that were riding without lights in heavy traffic in the dark. My friend Johan's story shows what a challenge it is to be seen, even during the day, given the level of distraction drivers have: especially with the advent of texting. Until those issues are properly addressed, cyclists really need to pull out all the stops on visibility. Major bicycle commuting countries like Denmark have laws that require bicyclists to have a number of mechanisms for being seen. Whether to legislate such things is another discussion. Nevertheless, Denmark's legislation indicates how seriously they take bicycle visibility and how seriously it should be taken by all cyclists. To be seen, reflectors are an obvious choice. There are few visibility solutions more elegant than a device that diverts the light from approaching threats right back to its source. All this without any batteries, etc. Consequently, reflectors are an essential part of being seen. An unaltered night photo of the Nike Vapor. One cool addition to reflection is this incredible new jacket from Nike: the Vapor. The entire thing is reflective (more on that here). How To Compete With Day Light? As great as reflection is, in day time, it can be drowned out by ambient light. Even at night, reflectors only work when they are shined upon. On curved roads, by the time automobile headlights hit your reflectors, it might be too late. So the passive lighting of reflectors is not enough. Given that, the next step is clearly active lighting so cyclist visibility is increased anytime and anywhere whether some headlights are pointing at them or not. In the past, the cost and weight of batteries or generators could possibly explain the absence of lights on bikes but not anymore. Fortunately, a new wave of LED (light emitting diode) lights has revolutionized bike lights to help with this. Thanks to these new LEDs, you can now make your bike incredibly conspicuous day or night with lights that weigh ounces, cost few dollars, last hours, and run on the same cheap batteries as a digital watch. When it comes to lights, cyclists should take their cue from other modes of transport. Many pedestrians now use them day or night. In California, the law mandates that motorcycles keep their lights on day and night because of the dramatic benefits to their safety. Even car drivers are encouraged to use lights in day time. Some cars do this automatically. Given all this, it is shocking how few cyclists leverage this knowledge. On top of all the other vulnerabilities, cyclists are in danger of being out lit by their competition on the road. Consequently, it is imperative that cyclists use them. Get lit, if you don't want to get hit. Being seen is clearly key to cyclist survival but so is seeing. Many cyclists are killed each year not by what hits them but rather by what they hit: what they failed to see. If you are cycling as serious transport, sooner or later you are going to be cycling at night or dusk. In that situation, you need a light that reaches far enough ahead to give you time to react. If you are moving at 15 MPH (aka 22 feet/second) you need more than one second to react to upcoming obstacles. Otherwise, you find yourself slamming on the brakes a lot or going ridiculously slow. Given this, night riding requires light that fully illuminates at least 25 yards (aka 3 seconds) ahead of you and preferably much more. The ambient light from cars, shops, and street lights may provide 3 seconds of lighting in the city. However, dedicated bike paths in the city or elsewhere tend to be woefully lacking for street lamps. Again, if you are cycling as serious transport, you will eventually be on one of these unlit paths at night, so be prepared. Although most LEDs meet the first visibility challenge (being seen), they've struggled to meet the second (seeing) without considerable cost and weight. Nevertheless, that is starting to change. I won't bother recounting most of the lights I have bought because most sucked. Nor, will I recount the features of each light. Let the reviewers do this. I'm simply listing the ones I've used that worked for me and why. Likewise, I don't cover anything but LEDs because the cost and weight of batteries, bulbs, or generators for halogens and such are not worth it to me given the power and efficiency that LEDs are now providing. For being seen, the Planet Bike 1-watt LED has been a great light. When I bought it, it cost $40 which was double what some lights cost but I wanted something light, powerful, and longlasting, and this seemed to deliver. However, bright as this light is, I learned the hard way that it does not sufficiently illuminate 25 yards (aka 3 seconds) ahead on a totally unlit road so I am only listing it as a light for being seen. Nevertheless, it is decent for night biking on city streets with a lot of ambient light. There is now a 2-watt version out for $30. The added power will surely help but I'm betting you will still want more than this for seeing well-ahead on unlit roads. The need to light your way puts you on a separate tier for lights. There are only a handful of LEDs that can do it at anything close to a reasonable price. Among those, there is only one that is very lightweight and very easy to use. Ultimately, what matters for lights is not wattage but lumens. The more powerful lights list the number of lumens they produce. In my experience, you want no less than 200 lumens to light your way. Sadly, most lights that deliver 200+ lumens require heavy battery packs or generators with clunky cables that must be strung all over your bike (good luck securing that when you lock your bike somewhere). These lights also cost about $1/lumen and up. Happily, there is a light using yet another wave of new LEDs that resolves a lot of these drawbacks. I have no incentive to rave about this light other than my own satisfaction in using it. This light delivers light for roughly $0.25/lumen, far less than the competition. It does so in an elegant, extremely durable, and easy to use, package. At 900 lumens, you've got enough power to fully illuminate the next 50 yards (aka ~7 seconds) in front of you. With an hour at 900 lumens or 3 hours at 200 lumens, you've also got enough time to reach your destination. The sealed aluminum hour glass body has endured drops at high speed and heavy rain without failing or really scratching that much. The battery is built-in so it works great as a regular flash light. It does have a proprietary charger because of the built-in battery but I already have a recharging routine for my phone. I simply charge this similarly and the battery life has been sufficient to get me through a ride on days I forget to charge. I recently added an accessory to the Exposure Diablo which is the red, 80 lumen, tail light. It requires no batteries since it plugs into the back of the Diablo. The Diablo powers both just fine for the several hours I commute. This tail light does involve a wire to the Diablo but Exposure now has a wireless version of the tail light with its own built-in rechargeable battery. Neither weighs much and, at 80+ lumens, they are brightest tail light I've seen on the market. They are just fabulous lights. No other light comes close. The only drawback to Exposure lights seems to be that they are tough to find, at least, in North America. Bike shops, like many sports gear shops, are filled with a lot of high-margin crap. It's tough to get the good stuff in general but this light is especially tough to find, even online. It did not even show up in a lot of reviews I found on the internet. I stumbled across it in some bike forum. Regardless, it is worth finding. Six months in, I couldn't be happier. As prices keep dropping and power keeps escalating with each new generation of LEDs, many of my points about power and price may soon become moot. What won't become moot is the 3 second rule for biking in the dark. Even if you have a lot of ambient light on your ride, that ambient light won't show a lot of potholes or cracks that can stop a road wheel dead in its tracks and launch you all kinds of fun places, e.g. oncoming cars. Having a light that fully illuminates the next 3 seconds of your ride can be a life saver. Regardless, don't let the dark discourage you from riding. At night, there are fewer people out, a.k.a. fewer points with which to collide. Furthermore, in my experience, drivers actually notice me with lights at night more than they do in the daytime. Realizing this has eased many of my reservations about riding at night. It's also quite peaceful generally. This, in turn, keeps me riding more often which keeps me realizing the benefits of cycling that PlanBike is all about. Why is it so hard to find good bike lights in the USA? Most are essentially flashlights, or flashlights on steroids. The latter not only are marginally effective at lighting the road, but are a safety hazard on multi-use trails because a substantial chunk of their beam is directed straight into the eyes of oncoming cyclists. I finally found that good lights come almost exclusively from the other side of the Atlantic, and now have lighting I'm completely happy with for all-year-all-weather-rural-to-urban commuting. See http://www.peterwhitecycles.com/plight.asp for a discussion of what makes a good bike light. The setup (Shimano dyno hub, IQ Cyo front, Toplight rear) wasn't exactly cheap, but has turned out to be a fabulous value for safety, and convenience. A high-end commonly-available-in-the-USA battery light setup is just as expensive, has far less effective optics and has the hassle of batteries. I don't care how good the light is...if your batteries are dead, it doesn't matter. With dynamo power, you can use your lights all day too, just like motorcycle. Reflectors have their place too. Bike lights (including tailights) get washed out by increasingly bright car headlights. A reflector will only send that same bright light back to the car. I run a dynamo driven taillight with built in reflector. I run a Princeton Tec Swerve Taillight as well. I run a B&M Cyo LED dynamo light for my headlight supplemented by a helmet light. 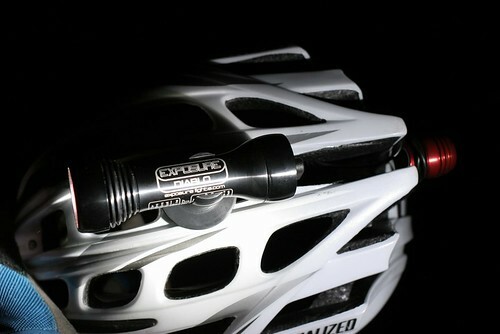 I have a few planet bike spok lights at various places as well. Thanks for the valuable feedback. I think that strategy is sound and can be easily replicable.Great posts. I love this article. At GadgetMania Geek gadgets in Australia,Novelty gadget gifts Australia,Online security surveillance equipment,Folding LED night lamp, we are only as good as the products we sell. Our Product Team sources the best deals from around the world, allowing us to sell high-quality products for low prices. Superb post offer with us and this web journal is awes more individuals to perusing that blog. Thanks for sharing in detail. Your blog is an inspiration! Apart of really useful tips, it's just really ! This post will be effectively Just about everything looks good displayed. Regent honda is an authorized Honda dealer with largest showroom and highly professional staff offering honda Jazz, honda amaze booking for test drive in Thane and Ghodbunder, India. Really understandable and helpful article! Mind boggling story there. What happened after? Admission thee well! This bit of composing offers clear thought intended for the new clients of blogging, that truly how to do blogging and website building.